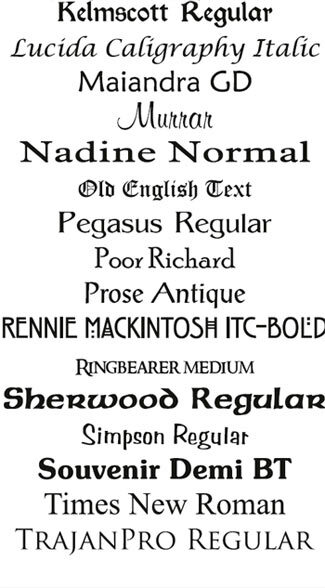 A small selection of the most popular fonts are listed below. However we do have thousands to pick from. 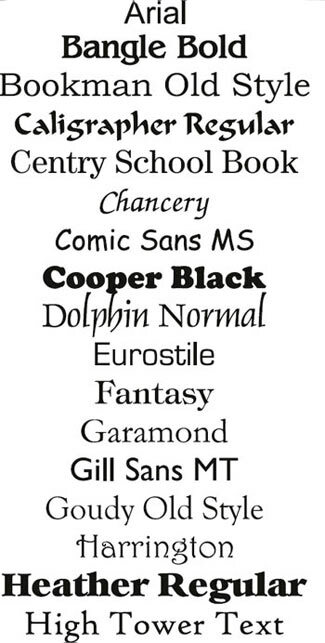 If your choosen font is not on the list, please check as we may well have it. If not, you can email a PC font to us as an attachment.